Hip hop collective SumoChief head-up the final night of Roundhouse Rising Festival, with support afrobeat collective collective Kokoroko, Camden MC Awate and the Roundhouse Music Collective. Hosting the night is co-curators Jazz re:freshed who will be spinning the best jazz inspired sounds between sets. Jazz re:freshed is a contemporary music movement built around a weekly live music residency in the heart of West London, covering the whole spectrum of Jazz inspired music and culture since 2003. Carving out a niche in London’s rich cultural landscape, Jazz re:freshed bridges the gap and connects the dots between Jazz and other progressive music genres. 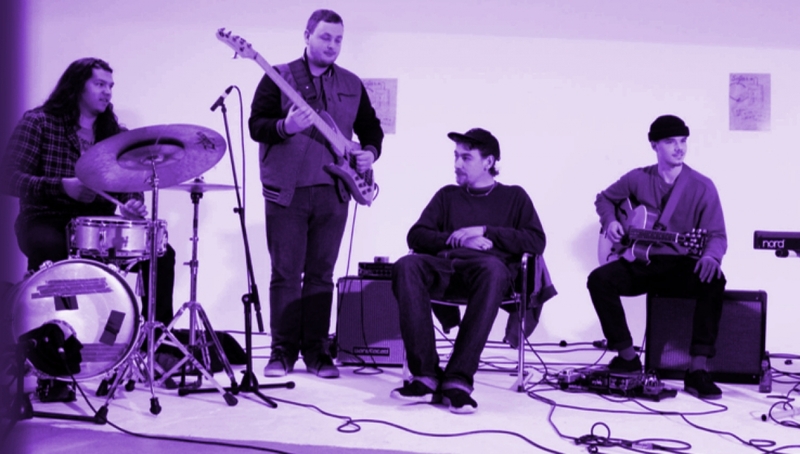 A 4-piece instrumental act with a plethora of talented, rotating guests, SumoChief blend influences from J Dilla & Madlib to Robert Glasper in stunning style. SB-TV called them “absolutely insane…amazing” and they have brought their raucous show to the likes of Tramlines Festival, Jazz Cafe, Love Supreme Festival, Bussey Building & Tom Robinson’s 6music show. KOKOROKO (meaning ‘be strong’ in Urhobo) is a collective of young musicians brought together by a love for Afrobeat. Born in 2014 in London and taking influence from the greats KOKOROKO is here shake up the live music scene. 25 year old rapper Awate is a Roundhouse Resident Artist who has been involved with the Roundhouse since its reopening back in 2006 and has built up a reputation as one of Camden’s finest MCs. His politically conscious lyrics and energetic live performances have recently seen him tour the UK alongside Lowkey, and coincided with the release of his critically acclaimed EP Shine Ancient. Our homegrown Roundhouse Music Collective will open the final night of Rising Festival, bringing their eclectic mix of sounds and talented line-up of singers, instrumentalists and producers.